Headboard is a component of the bed that is held at the head position of the bed and really accentuates the whole bed design. 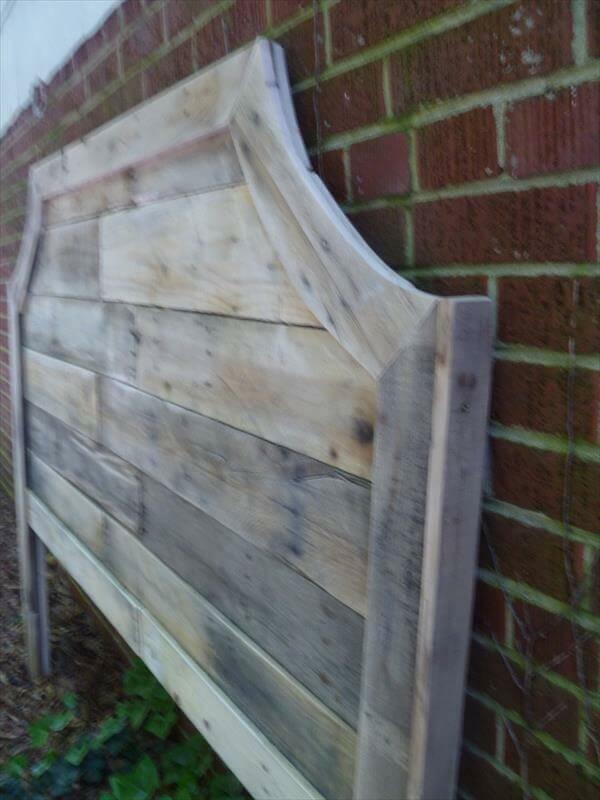 If you are short in budget but still willing to have a sturdy frame of headboard then we will suggest you the pallet wood to get it with your own skills. 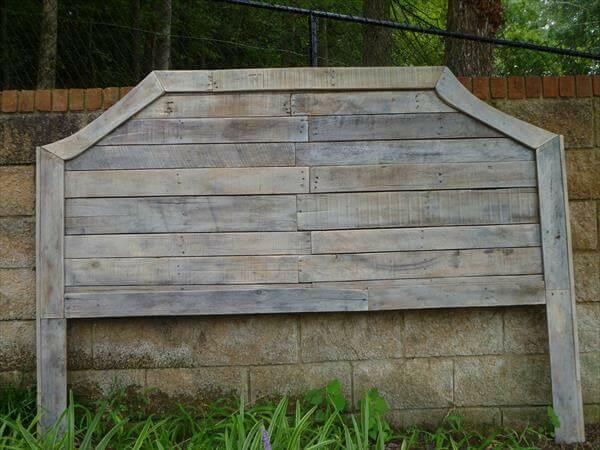 This DIY pallet curved headboard has also been salvaged out of pallet wood and was really handy in construction. If you have another aim then we have given a great variety of DIY pallet furniture like pallet tables, pallet beds, chairs, benches and even the pallet swings setups, you can try them to really improve the current living style on a budget. The curved style really adds its uniqueness and will make it center of attention. 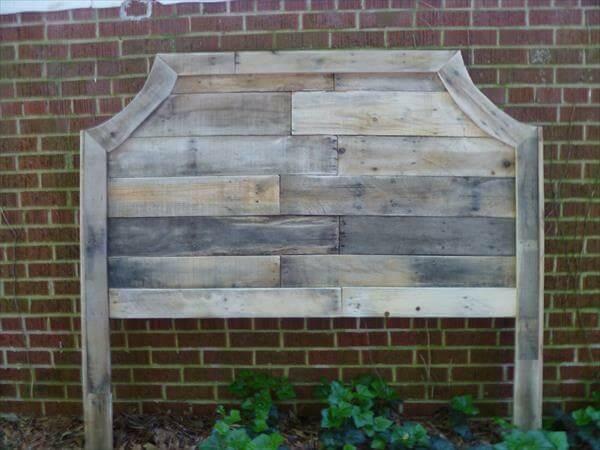 No, stain or paint has been used on this antique headboard appearance as it really looks great with this rustic style.